Astro Lighting Azumi single light wall fitting features a square design back plate in matt nickel finish with an extending arm at 90 angle. 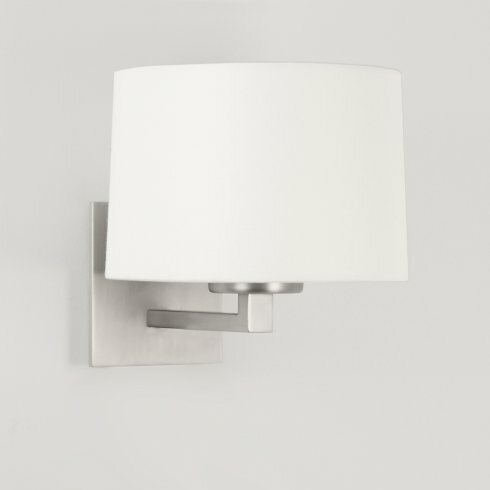 The product code for this Astro Lighting wall fitting is 0928. This contemporary design compliments the classic matt nickel finish and is an undeniably stylish fitting worthy of any modern home. The Azumi Classic range is also available in bronze or polished nickel finish and the Azumi range offers a 2 light wall fitting, floor lamp and table lamp.